Network Rail engineers will complete vital milestones for the pioneering Tram Train pilot this summer, as work progresses to put the South Yorkshire scheme on track from 2018. The second phase of work to assist in linking the Stagecoach Supertram network to the national rail network is currently underway, and will be completed on the weekend of 19 August. Passengers in South Yorkshire will be the first to ride on a Tram Train in the UK and, once further work is complete in 2018, these connections will allow Tram Trains to run seamlessly between Rotherham Parkgate, via Rotherham Central and Meadowhall into Sheffield city centre. 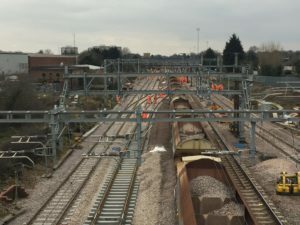 As well as the completion of the second phase of signalling, the weekend of the 19 August will also see work begin to install the new overhead line system, which will be used to power the Tram Trains. “Between Saturday 19 August and 0530 on Tuesday 22 August we will carry out work to link the new signalling for the Tram Trains into our existing systems. 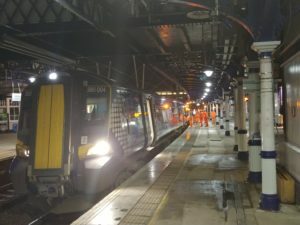 “In order to minimise disruption to passengers and our freight customers the main work will be carried out overnight each night and scaled back in the daytime to allow some trains to run on the main lines. Unfortunately, because of its location, it is not possible to run any trains to or from Rotherham Central and replacement road transport will be provided. Other work on the project continues with the new platforms at Parkgate and Rotherham Central stations progressing well. Due to the discovery of unmapped cables by the utility company, a road closure which is in place whilst work to raise College Road bridge in Rotherham takes place will have to be extended for an additional two weeks. The road will reopen on Friday, 1 September. “We appreciate that this is disappointing to road users and we would like to thank them for their patience whilst we carry out this vital work. We are working closely with South Yorkshire Passenger Transport Executive and Rotherham Council on this issue. Original article © Network Rail.